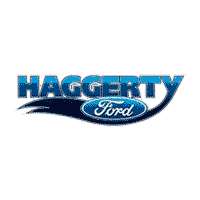 Haggerty Ford located in West Chicago is part of the Haggerty Auto Group. A three-generation family owned business that has been proudly serving customers in the West Chicago, Naperville, Carol Stream, Wheaton, Aurora, Batavia, Geneva, and Saint Charles areas as well as the entire western suburban community for over 50 years. We make this experience possible by providing a stunning collection of vehicles, hassle-free financing and high-quality service and repairs. We went there to check for our new car, worked with Joseph. He was new there but really got our money. We went just to look and drove away with our new for explorer. He was not pushy but really helpful and knowledgeable. Bill the mgr was nice too accommodating our needs. Everyone was nice from when you enter to that location to when you walk out. Thank you guys. We got a promised deal for selling a car from Kelley Blue Book and Greg fulfilled the promise. He was very honest and courteous, to the point of driving us home after they took our car. These guys are always great and will never take my Ford anywhere else. John is always ready to help you find an awesome Ford vehicle, will go back for my next car and every car. John was a true professional. Extremely knowledgeable, fair, and honest. John's straight forward approach is exactly what I appreciate when it comes to buying an automobile. John has been very accessible when I have had questions or concerns regarding my vehicle purchase. Because of these reasons is why I would recommend John Czech to any family members or friends interested in purchasing a vehicle. I live in Wisconsin and when I receive great service like I did with John I know I will be back again when I need to purchase another vehicle. Great staff that know there stuff... Sincerely helpful.. Went here to buy a new car - ended up going with a different dealership. Service here is friendly and honest but prices are $2-3k more than other dealers, especially Packey Webb. If you don't mind the mark up and want great service this is a great dealership but if you are looking for the lowest price it's not here. I recently brought my 2012 Ford F-150 in for a safety recall. The repairs were handled in a timely manner with minimum delay. The recall was scheduled promptly and completed quickly. Overall, a good experience. I've bought three cars from this dealership and they are the first and only dealership that I have found that has a fantastic Sales and Service Department. I expect a fair deal and for my cars to be taken care of and these folks do not disappoint. From Andy in Financing to Eric Miranda, Eric Nunez, and John in service these guys are the absolute best. In fact, a big reason I bought my last Ford was so that I could buy it from these guys and get it serviced by a department I trust.